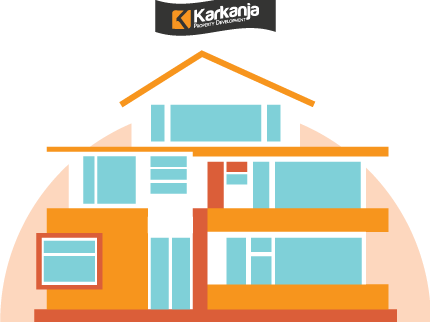 On the 11th October 2000, we proudly established Karkanja Limited. Our main office is based in Victoria, on the island of Gozo. We are a property development company and we focus on the development of quality projects designed to meet your needs. When buying a new home, you want to be sure you can trust your developer. We pride ourselves on being a highly-trusted local developer and we have established an enviable reputation for the quality of our properties. Whether you are looking for your first home, moving up to something larger or downsizing, we think we have something to suit your tastes and needs. At Karkanja Ltd we have built a strong reputation for quality and service that we are proud of. We have various sub-contractors that have joined our team to work exclusively for us, and this ensures that we maintain the budget to finish your property according to your requirements. – Keeping up with the times and with developments located throughout Malta and Gozo to provide Modern Design. – We aim to ensure that the finished project meets the highest expectations. Taking time to listen to people’s individual needs, treating both our customers and our colleagues as we’d like to be treated ourselves. We put you, our customer, at the heart of our business, which means going the extra mile to exceed your expectations and make every contact with Your Move a positive experience. Our company is steered by a young, professional and enthusiastic team. The team’s objective is always to give our clients what is requested in the shortest possible timeframe, and with a genuine smile. Because we put our customers at the heart of our business. We take pride in the quality of our workmanship, and the experience we have gained over the years has helped us to provide you with residential units that will meet your needs of comfort, style and practicality. Complementing our years of experience, we have a professional team of architects and surveyors that make up our design team, and builders/masonry and finishing contractors who work closely with you to provide you with individual attention every step of the way. We want you to feel a part of the process in making your residence a home, and in personalizing your residence you are consulted and continuously kept updated. By having our own staff involved from start to finish we aim to ensure quality in the finished product and efficiency in delivering it to you.